Let's begin with a quote from William James, "Act as if what you do makes a difference. It does." When it comes to our dedicated volunteers, we could not find a truer sentiment. This National Volunteer Week, April 10-16, we'd like to acknowledge the 750+ Woodland Park Zoo volunteers who help our zoo shine. From their devotion to the zoo's animal care mission, to their passion for protecting wildlife and wild places—our volunteers offer a host of wisdom, kindness and patience that inspires our guests and instills in our community a sense of wonder and gratitude. 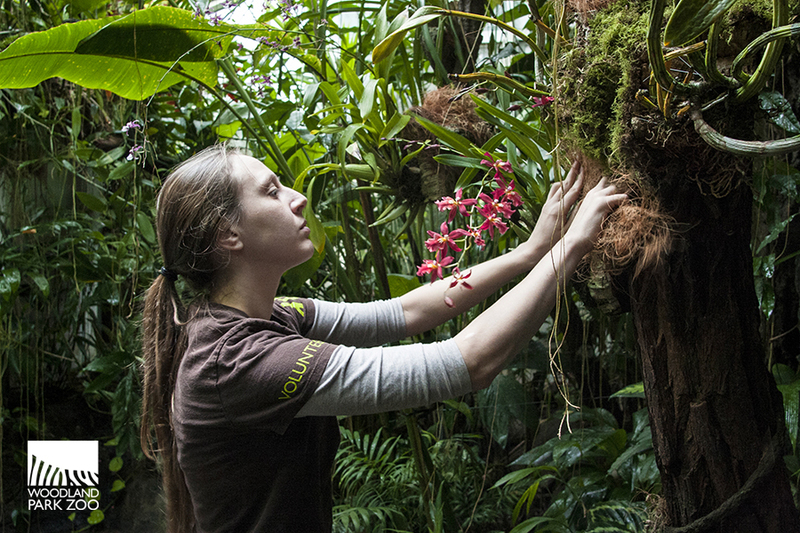 Alycia Moncrieff assists the horticulture team in the Tropical Rain Forest. Photo by Dennis Dow/WPZ. Volunteers range in age from 12 to 94, and come from all over the place—some commute as far as Kennewick, WA. 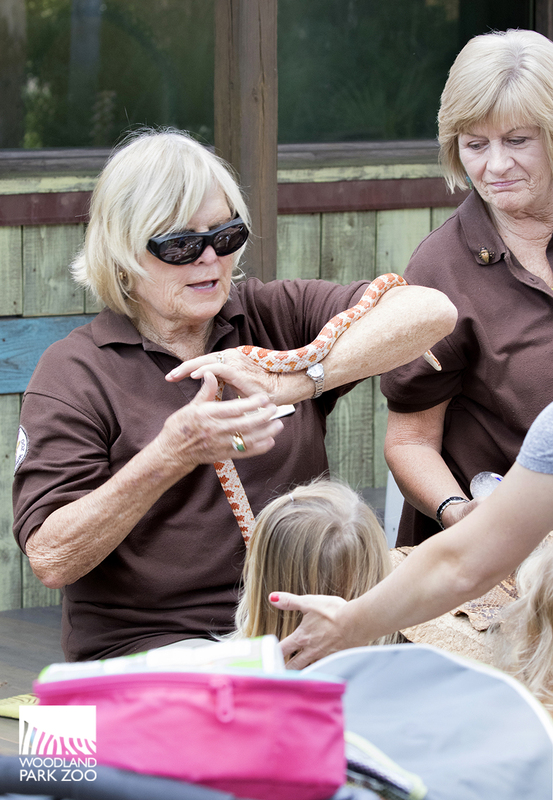 From ZooCorps to Counselors in training to docents and animal unit volunteers, there are a variety of volunteer jobs which are tantamount to the success of our zoo. 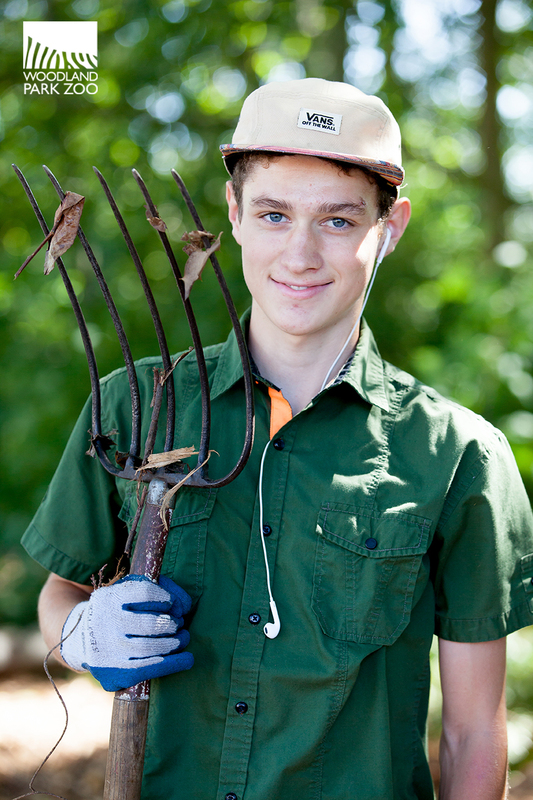 All in all, zoo volunteers racked up 84,184 volunteer hours in 2015 alone! Docents Marilynn Pray and Wendie Bark give guests a close up experience with a wriggly subject. Photo by Dennis Dow/WPZ. ZooCorps volunteers learn about tracking wild river otters. 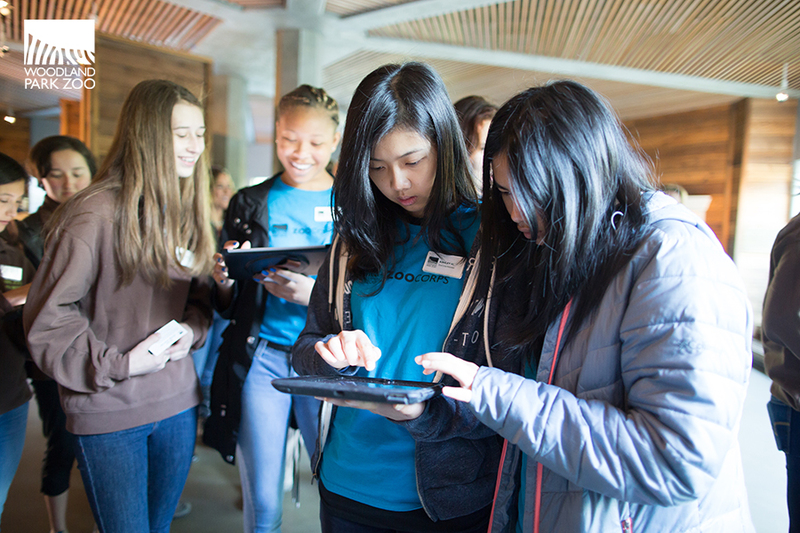 From left: Sophie Yasuda, Katherine Fry, Hannah Parker, Nyaila Flight, Ashley Huang and Emily Huang. Photo by Jeremy Dywer-Lindgren/WPZ. Here’s to our lovely volunteers, thank you for all that you do! 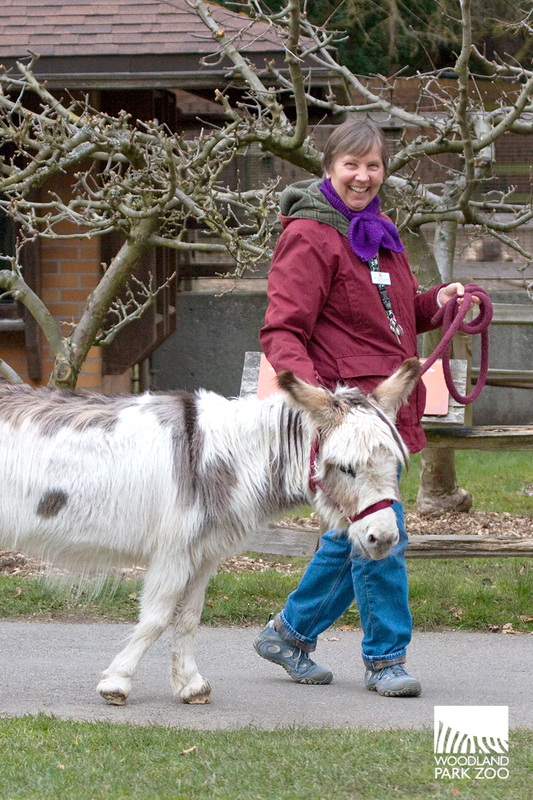 Taking a donkey for a leg stretch is one of the more glamorous volunteer jobs, here Judy Nyman-Schaaf does the honors. Photo by Dennis Dow/WPZ.